Folate and folic acid are different forms of vitamin B9. Even though there is a distinct difference between the two, their names are often used interchangeably. In fact, there is a lot of confusion regarding folic acid and folate, even among professionals. Being aware of their differences is important, because they do not have the same effects on your health. This article explains the difference between folic acid and folate. Vitamin B9 is an essential nutrient that naturally occurs as folate. Folate serves many important functions in the body. For example, it plays a crucial role in cell growth and the formation of DNA. Elevated homocysteine: High homocysteine levels have been associated with an increased risk of heart disease and stroke (1, 2). Birth defects: Low folate levels in pregnant women have been linked to birth abnormalities, such as neural tube defects (3). Cancer risk: Poor levels of folate are also linked to increased cancer risk (4, 5). For these reasons, supplementation with vitamin B9 is common. Fortifying food with this nutrient is actually mandatory in countries such as the US, Canada and Chile. However, the problem is that supplements and fortified foods usually contain folic acid, not folate. Bottom Line: Vitamin B9 is an essential nutrient, mainly present as folate and folic acid. It is commonly taken in supplements, and is even added to processed food in North America. Folate is the naturally-occurring form of vitamin B9. Its name is derived from the Latin word “folium,” which means leaf. In fact, leafy vegetables are among the best dietary sources of folate. Folate is a generic name for a group of related compounds with similar nutritional properties. The active form of vitamin B9 is a folate known as levomefolic acid or 5-methyltetrahydrofolate (5-MTHF). In the digestive system, the majority of dietary folate is converted into 5-MTHF before entering the bloodstream (6). Bottom Line: Folate is the naturally-occurring form of vitamin B9. Before entering the bloodstream, the digestive system converts it into the biologically active form of vitamin B9, 5-MTHF. Folic acid is a synthetic form of vitamin B9, also known as pteroylmonoglutamic acid. It is used in supplements and added to processed food products, such as flour and breakfast cereals. For many years, folic acid was thought to be much better absorbed than naturally-occurring folate. However, a diet containing a variety of folate-rich, whole foods has been shown to be almost as effective (7). Unlike most folate, the majority of folic acid is not converted to the active form of vitamin B9, 5-MTHF, in the digestive system. Instead, it needs to be converted in the liver or other tissues (6, 8). Yet this process is slow and inefficient. After taking a folic acid supplement, it takes time for the body to convert all of it to 5-MTHF (8). Even a small dose, such as 200–400 mcg per day, may not be completely metabolized until the next dose is taken. This problem is even worse when fortified foods are eaten along with folic acid supplements (9, 10). As a result, un-metabolized folic acid is commonly detected in people’s bloodstreams, even in the fasted state (11, 12, 13). This is a cause for concern, since high levels of un-metabolized folic acid have been associated with several health problems. However, one study suggests that taking folic acid along with other B-vitamins, particularly vitamin B6, makes the conversion more efficient (11). Bottom Line: Folic acid is a synthetic form of vitamin B9. The body does not convert it into active vitamin B9 very well, so un-metabolized folic acid may build up in the bloodstream. How Is Un-Metabolized Folic Acid Harmful? Increased cancer risk: High levels of un-metabolized folic acid have been associated with increased cancer risk. They may also speed up the growth of precancerous lesions (14, 15, 16). Undetected B12 deficiency: Among elderly people, high folic acid levels may hide vitamin B12 deficiency. Untreated vitamin B12 deficiency may increase the risk of dementia and impair nerve function (17, 18). Even a small, daily dose of 400 mcg may cause un-metabolized folic acid to build up in the bloodstream (9, 10). There is reason to suspect that high folic acid intake by pregnant women is a risk factor for autism. Bottom Line: High levels of un-metabolized folic acid may negatively affect health by increasing cancer risk or hiding vitamin B12 deficiency. This build up happens very easily, and the full impact on health is not yet known. What Is the Healthiest Source Of Natural Vitamin B9? It is best to get vitamin B9 from whole foods. 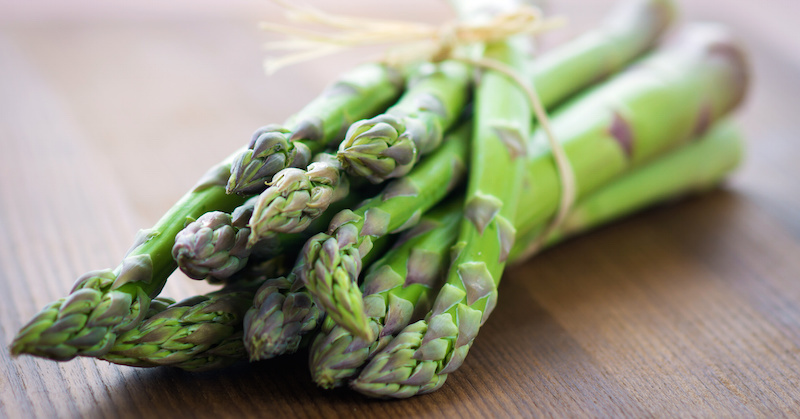 High-folate foods include asparagus, avocados, Brussels sprouts, and leafy greens such as spinach and lettuce. However, for some people—such as pregnant women—supplements may be an easy way to make sure you’re getting enough vitamin B9. In those cases, it is best to choose supplements that do not contain folic acid. Some supplements contain 5-methyltetrahydrofolate (5-MTHF), which is considered a healthier alternative to folic acid. Studies have shown that 5-MTHF is equal to or even better than folic acid (19, 20, 21, 22, 23). Supplemental 5-MTHF is bound to calcium, and is usually known as methyl folate or levomefolate calcium. It is also sold under the brand names Metafolin and Deplin. Bottom Line: The healthiest dietary sources of vitamin B9 are whole foods, such as leafy green vegetables. If you need to take supplements, methyl folate is a healthier alternative to folic acid. 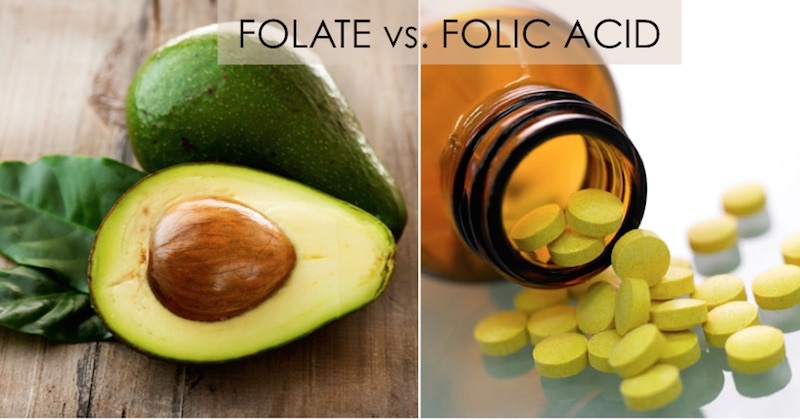 There are several distinct differences between folate and folic acid. While folate occurs naturally in foods, folic acid is synthetic. The human body doesn’t seem to handle folic acid very well, and has trouble converting it into the active form of vitamin B9. This can cause un-metabolized folic acid to build up, which may have negative health effects. Luckily, there are many alternatives to folic acid. These include methyl folate supplements and a huge variety of healthy, whole foods. Read: Folic acid taken during pregnancy linked to autism in children.